Emporio Armani offers a modern and fresh take on the classic Giorgio Armani brand. Made to be innovative and on trend this frame embodies that spirit. This is a sleek style with contemporary design clean lines and a streamlined look. This metal full rimmed frame is a versatile accessory for your wardrobe. 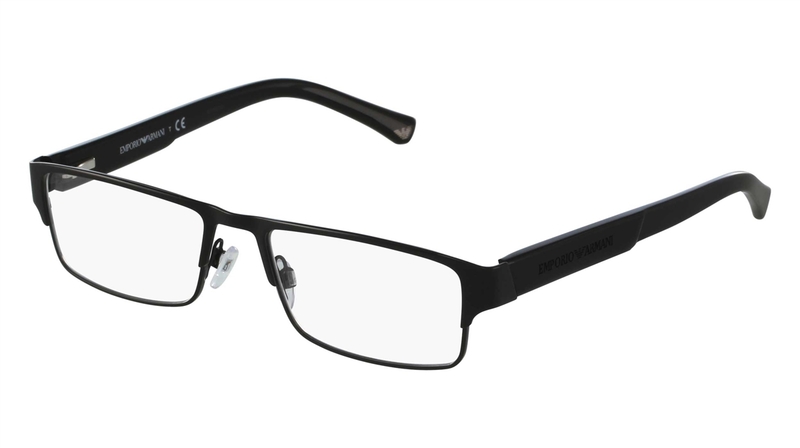 Your frame was crafted in a rectangular shape flattering to many faces in a black hue or a matte black two-tone hue.